The Italian Serie A season has one round to go and, similar to the English Premier League conclusion last weekend, there is not much left to decide in the final round of matches. Juventus has won the Italian Serie A title, Roma and Napoli will accompany Juve in the UEFA Champions League, Fiorentina and Internazionale will enter the UEFA Europa League, while Livorno, Bologna and Catania are bound for Italian Serie B. 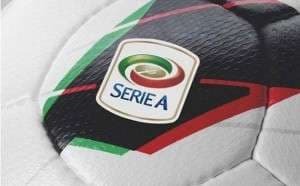 The only Italian Serie A matter of consequence that remains unresolved is which team will finish sixth and qualify for the UEFA Europa League third qualifying round. There are four sides in contention – Torino, Parma, Milan and Verona – with all bar Torino requiring assistance from other parties. The bottom line for the punters betting on the final round of Italian Serie A games is that more than half of them are dead rubbers in the true sense of the term and each of the four UEFA Europa League aspirants are lining up against a side which has nothing for which to play other than pride. Torino, which will lock down sixth position on the Italian Serie A ladder if it wins, has an away date with Fiorentina. The strong likelihood is that Torino will be odds on across the board at kick-off time, which will be ludicrous when one considers that Fiorentina is eight points ahead of its guest and the reverse fixture in Turin ended in a goalless draw. Parma is the Italian Serie A team that is most likely to benefit from a Torino slip up. Parma will complete its Italian Serie A program with a home match versus Livorno, which is guaranteed to finish at the foot of the ladder. Parma smashed Livorno 3-0 in the reverse Italian Serie A fixture four months ago so one thinks that bookmakers are quite entitled to quote Roberto Donadoni’s side at short odds. Not even Torino getting off to a flier at Fiorentina and denting the enthusiasm of its chasers is likely to prevent Parma defeating Livorno for the second time. Because Parma has what, on paper, looks like a gimme Italian Serie A home victory, Milan and, particularly, Verona need not one but several miracles to sneak into sixth spot. Milan is at home to Sassuolo and Verona is away to Napoli. So hard is it to see Verona leapfrogging Torino, Parma and Milan on the final day that bookmakers are not quoting it at stupid odds to beat Napoli on the road. And Milan is more than fairly priced to sweep aside Sassuolo at the San Siro. Perhaps the best way to attack the final round of Italian Serie A games is to have a bet on the match between Milan and Sassuolo being a highly entertaining affair similar to the reverse fixture that ended 4-3 in favour of Sassuolo. Bookmakers have over two and a half goals covered with their offers but their prices about both teams scoring are nice, with Boylesports and Ladbrokes quoting odds of 1.91. One admits that Milan has won each of its last four Italian Serie A games at the San Siro without conceding a goal and its home record is the fifth best in the division behind Juventus, Roma, Napoli and Atalanta. But there really is little chance of Milan rising from the eighth to the sixth rung on the Italian Serie A ladder and, therefore, one is expecting Clarence Seedorf’s side to play without a great deal of pressure on its shoulders. And the same goes for Sassuolo, which is safe from relegation and the highest scoring away team in Italian Serie A’s bottom 10. Sassuolo has scored on 10 of its 18 Italian Serie A road trips. If one wants to strike an odds-against Italian Serie A bet than parlay Parma into both teams to score in the match between Milan and Sassuolo but keep stakes to a minimum.